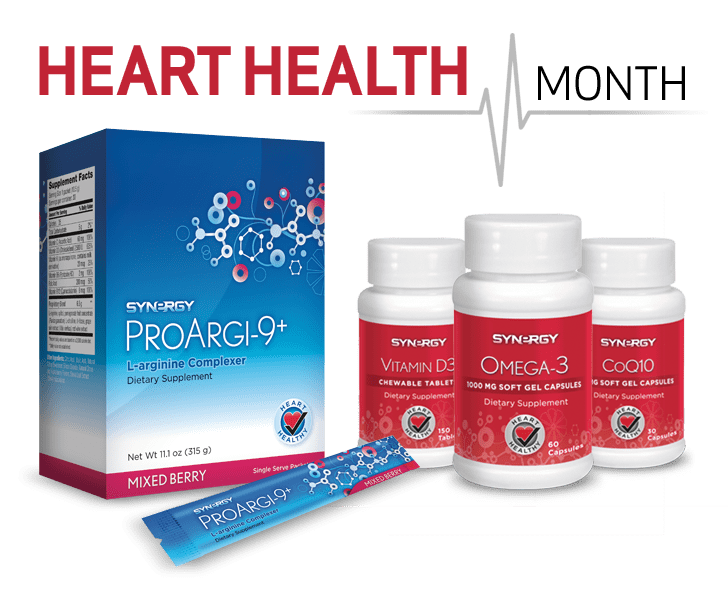 We’re capping off the month of February with discounted Synergy products in celebration of National Heart Health Month. It’s the perfect time to start focusing more on your heart health and stock up on heart healthy products by purchasing our limited-time combo packs. Each pack includes a bottle of Omega-3, CoQ10, Vitamin D3 and the single-serve ProArgi-9+ flavor of your choosing. These products were paired to give your heart the care it deserves. You have less than a week to take advantage of this great offer!